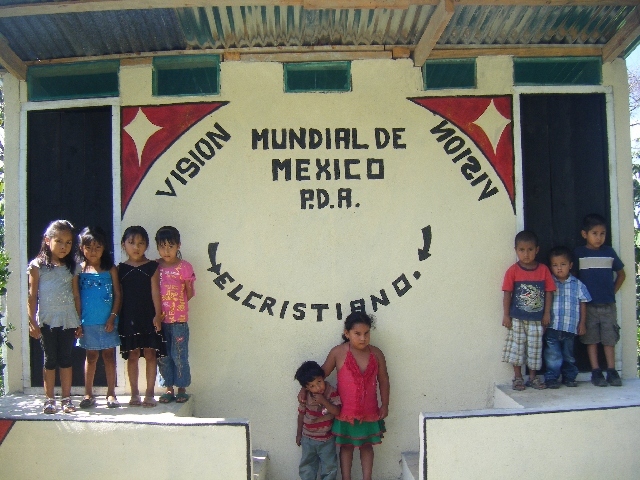 As World Vision Mexico takes over work in the El Cristiano community, support from Canadian sponsors is no longer needed. Would you consider sponsoring a child in another part of the world? Canadian sponsors have helped lay a strong foundation in El Cristiano. Now, our partners at World Vision Mexico are excited to continue this work with local leaders, community groups and partner organizations. That means moving forward without the help of Canadian sponsors. Thank you for the difference you’ve made in this community! El Cristiano is located in the Sierra Madre mountains. It's a ruggedly beautiful place, with mountains up to 1400 meters above sea level, narrow valleys, and springs dotting the area. Families live on the steep hillsides. Most families are indigenous Nahuatl, descendants of the ancient Aztec people, and they continue in their traditional way of life as subsistence farmers growing corn, beans, and coffee. Some work as day labourers on large coffee plantations. Life is hard here, and families struggle to earn enough to live. Unemployment is rampant in the growing season. There are few alternative jobs, and people have to migrate to other areas in search of work. For most parents, it is a daily struggle just to survive. Families are large. Children often work to help, whether at home with chores or in the fields. Almost half of the community is illiterate, and children often do not have the support they need to continue their education. Children, especially girls, often bear the brunt of the impact of common social issues in the community, such as alcoholism, emotional or physical abuse, and family breakdown as a result of migration. 28.5% of children were too short for their age as a result of long-term malnutrition in 2016 decreasing from 34.2% in 2012. This condition is called 'stunting' and due to its complex and chronic nature it demands a long process of change for its presence to decrease. As a consequence, even small reductions in this measurement are already cause for celebration. 5.1% of children were too underweight for their age, as a result of intense malnutrition in 2016 decreasing from 9.3% in 2012. Establish and equip reading groups to improve literacy and academic performance. 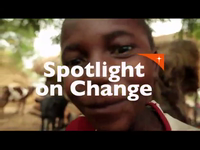 Train parents, teachers, and community leaders to improve the overall quality of education. Organize and train children, parents, and community organizations to prevent and respond to violence and child abuse. Improve schools with water and sanitation infrastructure. Educate parents in good nutrition practices, and in how to prevent and treat malnutrition using local resources. Train parents of children with special needs in care practices. Equip local organizations to monitor children's weight, height, and hemoglobin, as well as provide vitamin and iron supplements as needed. Work with parents to start back yard production of fruit, vegetables, poultry, and rabbits to improve family diet. Teach families about personal hygiene, safe water handling, and basic sanitation to protect children's health. Assist the community in installing water tanks and ecological toilets. Train early childhood care volunteers on issues like nutrition during pregnancy, lactation and weaning, healthy eating habits, and prenatal care, and empower volunteers to pass on their knowledge to families. Form youth groups where adolescents and youth can find support, express themselves, and gain new training and insight. Train youth in entrepreneurship and family business development. Help adolescents identify and manage opportunities for formal education. Train young people in life skills. Support youth groups with organizational tools, training, and communication skills, and empower them to influence their community.